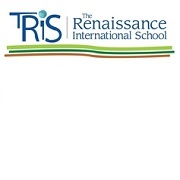 The Renaissance International School offers camps in sports, scientific adventures, and different cultural and art experiences. Scheduling is flexible, where kids can be signed up one or multiple-week sessions. TRIS is a multidisciplinary of international center of learning and culture where children can thrive and develop their potential. 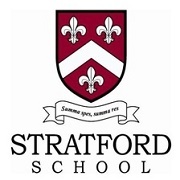 Stratford School's Hidden Talent Art Camps will introduce high-quality, college-level fine art media to elementary students. 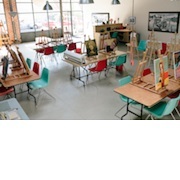 Students will enjoy learning techniques in drawing, painting, sculpting, and mixed Media. 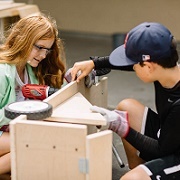 Spend the mornings doing structured reuse projects, have lunch, play at the park, and come back to the studio for free-build time--every kid's favorite! Themes include wood shop, clay, printmaking, animation, map-making and more. 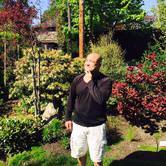 Learn about resource conservation while you create with fun reuse and natural materials. Camp sizes are small. 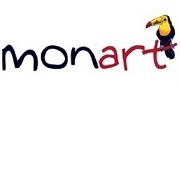 The Monart Method involves training students to perceive an “alphabet” of sorts focused on five basic elements of shape families that combine to form all objects. In this year's "Around the World in 8 Weeks", students will learn to architecture, animals, people, and other features specific to the week's cultural theme. 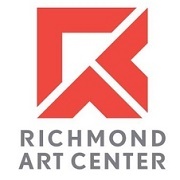 The Richmond Art Center’s Art Camps offer kids and teens a nurturing environment and creative atmosphere to experience hands-on activities including painting, drawing, clay, weaving and collage. Camps are open to kids ages 7 and up, in morning or afternoon sessions. 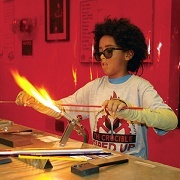 The Crucible is the only place where kids can explore arts and crafts such as blacksmithing, glass blowing, ceramics, jewelry, neon, welding and even robotics, all under one roof. Week-long camps will take kids 8-17 into new, untapped areas where their imagination can soar — while they learn real hands-on skills that overlap STEM! 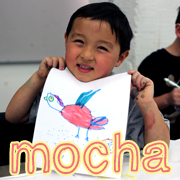 Join MOCHA for 11 weeks of innovative, hands-on arts activities for children and youth, ages 6-12.  MOCHA campers will work on a variety of engaging projects based on weekly topics. At the end of each session, family and friends are invited to view and celebrate the week’s masterpieces. 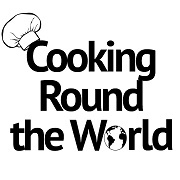 Cooking Round the World is the intersection where culinary arts meet cultural education. Each day, campers are immersed into the experience of being in a foreign land, by cooking, tasting, smelling and savoring foods from other countries. They are encouraged to try new foods and food combinations they've never tried before and ultimately broaden their palates. 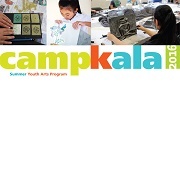 Camp Kala offers hands-on art activities for 6-17 year-olds in a professional studio environment. Young artists tour printmaking and digital media studios, view contemporary art in the Kala Gallery, and participate in conversations with Artists-in-Residence from around the world. Kids 'N' Clay Summer Camps provide an ideal environment for children to explore their creativity, while they learn the craft of ceramics. 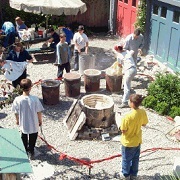 This year, camps will offer a choice of Raku or regular wet clay ceramics. Both camps also include a special mosaic project! Art, Creativity and Lots of Fun! Spend the day at an authentic art studio, meeting new friends and creating art with former Disney artist, John Kleber and other guest artists. Camps are open to kids ages 7-12, running Monday-Friday, 10am-3pm. 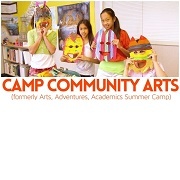 The Artist Center offers summer camps for all age groups and skill levels. Learn how to draw and paint like a pro using the fundamentals and step by step methods. Prices are very affordable--$10/hour plus art supplies. For over 30 years, Civic Arts has offered exceptional programming for kids and this year will be no exception! Choose from affordable half-day or full-day options, including on site morning and after care. 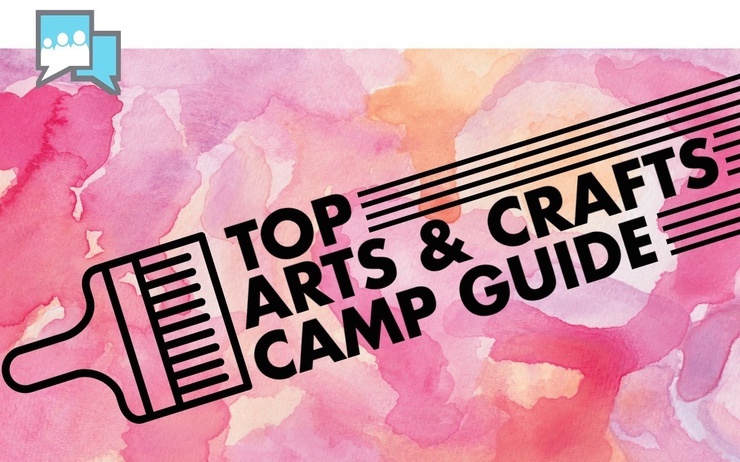 Highly skilled teaching artists will lead explorations in a variety of visual arts media and performing arts classes that allow campers to deepen their skills and appreciation in the arts. 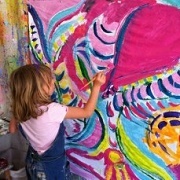 At Dancing Paintbrush Studio™, children and teens can let their imaginations soar! 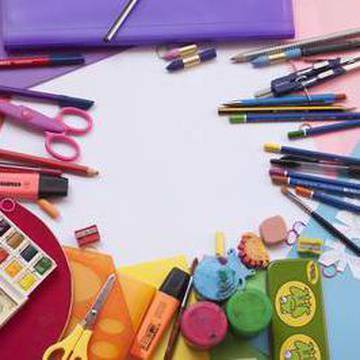 They teach the fundamentals of fine arts skills and basic techniques in the Summer Art Camp program, while nurturing creativity and individuality in a fun and relaxed camp atmosphere. 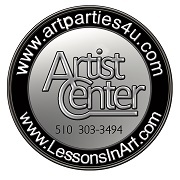 Join this award winning Summer Art Camp (2015 Parents Press) for a summer full of fun and creativity!